Here are a few other steps to keep in mind when outsourcing software development to Latin America for the first time. 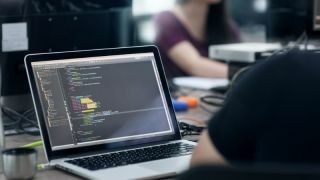 Outsourcing software development to teams in Latin America is becoming an increasingly appealing option for U.S. technology firms seeking skilled programmers who are familiar with highly-collaborative software development methodologies, such as Scrum and Agile. In fact, HackerRank, which offered a glimpse into how skilled developers are across the world with its Programming Olympics report, placed four Latin American countries on its list of best developers overall. But before you can outsource a development project to Latin America, it’s crucial to have a clear idea of the precise processes and parts of your product you need help with most. Not only will this help you realise which tasks are better for your outsourcing partner to take on, but it will also help you identify which tasks you may be able to complete internally. Having a full understanding of the scope of your project will guide you through the process of finding the best outsourcing partner in Latin America that matches your requirements. This process will also help the outsourcing firms you contact prepare more accurate quotes for you. The type of outsourcing partner you need depends largely on the scope and scale of your project. It’s crucial to know what type of outsourced company is the best fit for your project before you even begin the process. In the U.S., hiring a quality developer can cost anywhere from $80 to $150 per hour. In Latin America this drops to $40 to $70 per hour, depending on the project. The cost-effectiveness of outsourcing to Latin America means your company can afford to work with talented developers with specialised expertise that might otherwise be out-of-reach for your business in the U.S. Depending on your budget, Latin America is home to a number of niche development firms that may be a better fit for your project than a large software development firm that claims they can do everything for you. For instance, a number of indie game development firms have cropped up in Latin America, putting the region on the map as one of the top locations for video game development in the world. The gaming industry has responded to the talent in Latin America and helped fuel its growth in recent years. For example, both Sony PlayStation and Microsoft´s Xbox have programs for their console markets in Latin America open for independent developers and small studios. As of 2015, Sony has worked with more than 20 development studios in Mexico. Thoroughly researching any potential outsourcing partners allows you to evaluate any risks beforehand as well as obtain a better idea of the level of work you can expect from them. There are plenty of development firm review websites, but don’t underestimate the power of social media and a simple Google News search as well. Nowadays, U.S. companies aren’t shy to share that they are working with development teams in Latin America. They are spilling their secrets for agile development on their social channels, website blogs, and even with the media. For example, many U.S.-based technology companies, such as Wizeline, have been very open about setting up their development teams in Mexico. JPMorgan recently increased its presence in Argentina, hiring around 100 people to fill software development, systems analysis, and securities processing roles, with plans to hire nearly 400 more tech workers in the coming years. IBM, HP, Teletech, and many other U.S. technology companies have also been vocal advocates of outsourcing to Latin America. A crucial step in finding the right development company in Latin America for your project is to conduct your own research first. This step may include reviewing any press articles, portfolios, or even testing some of the development firm’s previous products firsthand. If client reviews or references are not readily available on the outsourcing company’s website, don’t hesitate to request them. Many development firms across Latin America have bilingual operations and plenty of experience working with U.S.-based companies. English proficiency levels are increasing across Latin America, with Argentina leading the way and several other countries following close behind. Many firms in Latin America also line up their working hours with the U.S., and few even have U.S. offices. Therefore, you should have no problem finding presentations, examples of their work, or client reviews in English. The first and easiest step in protecting your business ideas when working with an outsourcing company in Latin America is to sign a non-disclosure agreement (NDA) before starting any projects. This simple step protects both parties and indicates that you are both serious about the working relationship. The next level of protection may entail a non-compete clause, which explicitly prohibits your outsourcing partner from engaging in the same business as your idea. Working with a lawyer with experience drafting non-disclosure agreements for Latin America, and one that knows what is acceptable for firms in the specific country your potential partner is located, is advisable and will save you a great deal of time and effort should any problems arise. Finally, it’s important to discuss with any potential outsourcing partner how they handle the security of the information you’re handing over to them. What security systems do they have in place? Do they have confidentiality agreements with all of their staff? If your project deals with sensitive information, then you must ensure it will be protected. You’ll need to do your due diligence, but if the development firms have a history of working with multinationals such as Bayer, Disney, or Citi, or working in industries with strict data security standards such as healthcare or financial services, chances are the development teams understand how to work in strict compliance environments. When you’re ready to start working with your development team in Latin America, take the time to understand how you will communicate any project updates on a regular basis. One of the main advantages of working with a development team in Latin America is the minimal time zone differences. At times, real-time collaboration with your development team may be necessary, and these time zone similarities make it easy and convenient to work together. Use a project management tool to organise processes and let the team know the best ways and times to contact you if needed. Scheduling tools such as Appoint.ly or Calend.ly can facilitate communication if you’re unable to settle on a regular time to connect. Many countries in Latin America share a similar work ethic as the U.S., and workers are not shy about providing feedback or expressing their concerns when it matters. In Latin America, communication in the workplace also tends to be more direct and open than in many Eastern cultures, such as India, or other East Asian cultures. These communication similarities to American business culture can ease collaboration, but if you have concerns about why tasks are being done in a certain way, it’s important to ask questions and encourage your outsourcing firm to do the same. Open communication and honesty are appreciated and necessary for any successful cross-border partnership. Make sure everyone involved with your project knows that they have the right to express their ideas and concerns at any time. There are many benefits when it comes to outsourcing software development to Latin America. With the explosion of technology trends such as IoT, big data, and blockchain over the past few years, the need for highly-skilled developers is growing exponentially, and many more companies will look to partner with outsourcing firms that can meet their hiring needs and scale their businesses faster. Cost will always be a factor when deciding whether or not to outsource a project. However, the need for soft skills, such as the ability to effectively communicate and collaborate, has shifted it a bit from being the primary focus. Over the past decade, many firms that chose their outsourcing partners based on price alone have re-evaluated their decisions as they experienced a ballooning of costs in order to complete projects and miscommunication issues consumed the expected savings. As a result, the shift toward a view of value and quality vs. cost alone have made Latin America a remarkably favourable place to look for a partner. For U.S. companies who wish to collaborate with talented technology professionals that can deliver high-quality work at affordable rates, Latin America certainly ticks all of the right boxes.